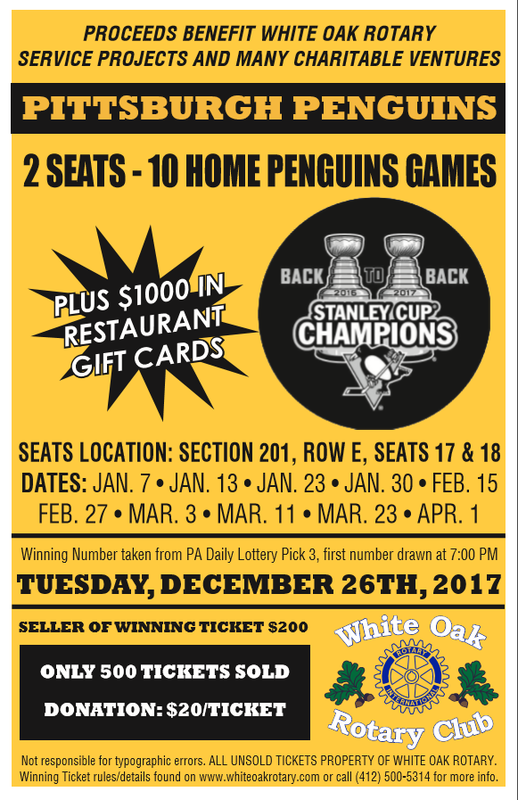 Our annual Penguins Ticket Package Raffle is currently going on, and you can now purchase your tickets online and have your ticket with number emailed to you! Tickets are only $20 each, and each ticket contains 2 chances to win. * Click on the BUY NOW button at the bottom of this page. * Leave a private message to this page. If you choose to purchase your ticket online, your ticket will be filled out in your name and a photo of the ticket will be emailed to you within 24 hours, if you do not see the ticket, please check your Spam folder before.